We welcome applications which should be submitted on the form provided, along with the requested images, and returned to the Membership Coordinator, for an intial review by the committee members. 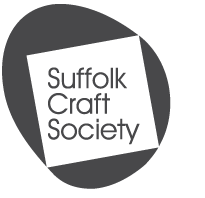 Once you have been accepted to attend a selection day we will ask you to send us a cheque for £10 made out to Suffolk Craft Society to cover administration costs. The Craft Society hosts a New Member Selection Day once or twice a year. This is likely to be every Spring and Autumn but timing is dependent on having a sufficient number of applicants. After your application is received you will be invited to come along to a Suffolk venue to display your work and speak with existing members. Members will then participate in a private ballot, voting as to whether it is felt your work is a good fit for the Society's aims and ambitions and that membership will be of benefit to both you and the Society. Applications are accepted throughout the year and held until there is a sufficient number to warrant calling our members together for a selection day. A successful applicant is accepted as a Full Member but will be under the oversight of the Committee for the first year. This period is a chance for newly selected members to get to know the Society and participate in our exhibitions and events. It is also a chance for the Society to get to know their newest members and to ensure the membership is beneficial to both parties. New members can immediately participate and submit work to Society outlets and exhibitions with the normal selection procedures in place.